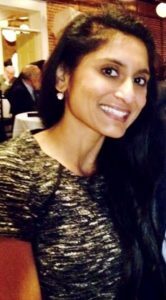 Reena Patel-Viswanath is a third year, first-generation doctoral student, and Holmes Scholar in the Higher Education Administration and Policy program at the University of South Carolina College of Education. After working in higher education for a few years, specifically Student and Academic Affairs, Reena decided to pursue a doctorate degree to help advance research surrounding first-generation college student success. Reena’s research primarily focuses on first-generation college student access and retention. She is interested in dissecting how social, cultural, and institutional factors influence academic outcomes and what can be done to mitigate existing barriers. A secondary research interest includes investigating the existence of the imposter phenomenon within first-generation college students, specifically its manifestation, effects on academic experience, and outcome.